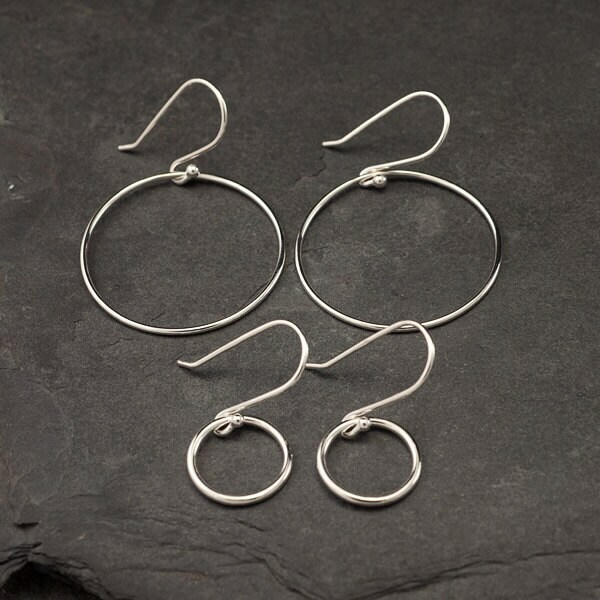 These argentium sterling silver earrings are simple & lightweight making them the perfect hoops for everyday wear. 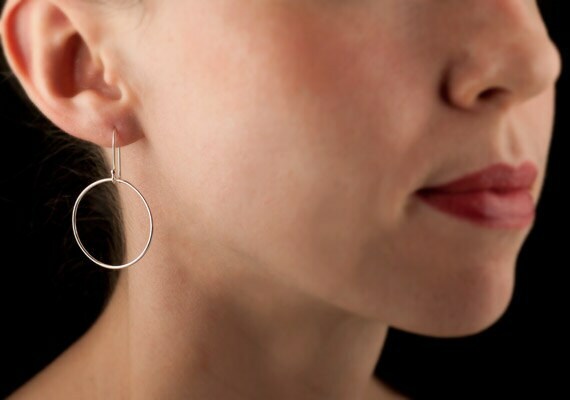 Single circles dangle from handmade ear-wires creating large and simple hoop earrings. 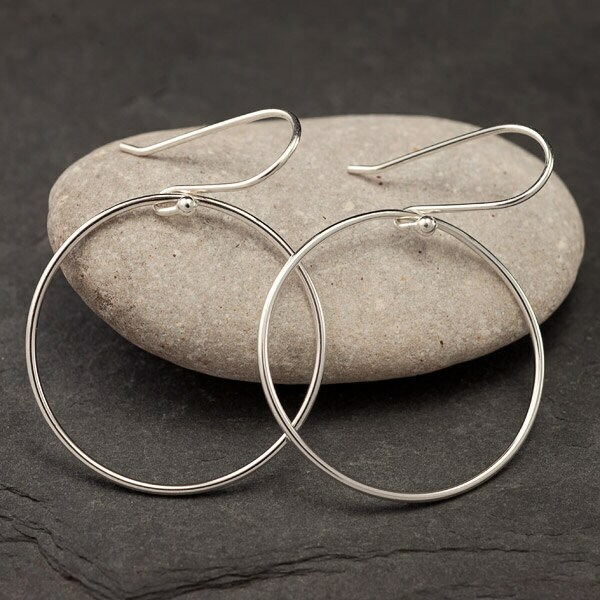 The ear-wires are handmade of high quality Argentium sterling silver, so even people who have allergic reactions to the copper in standard sterling silver can comfortably wear these. 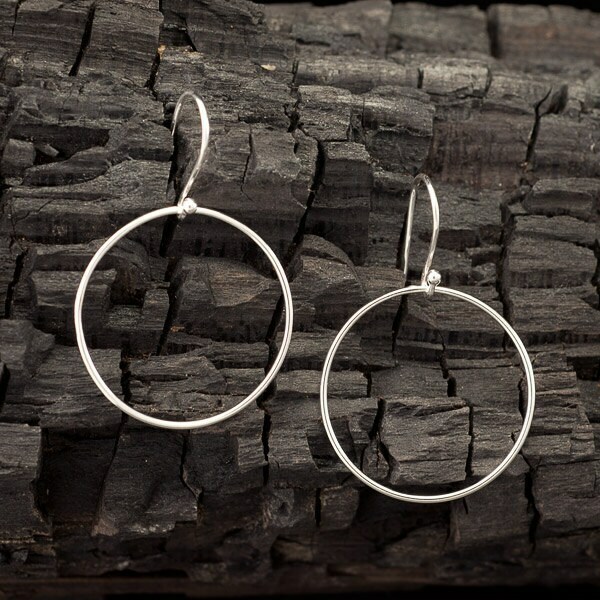 These simple modern minimalist beauties are sure to be your new favorite hoops! These earrings are gorgeous! Artulia is one of my favorite shops. Her quality is amazing. Shipping is always fast! Thank You! These are awesome and I wear them every day. Beautiful earrings! Thank you for giving these the hammered look. Just the right amount of sparkle!